Developer JoyMasher has partnered with Digerati to bring two of its retro-inspired games to Switch next month. 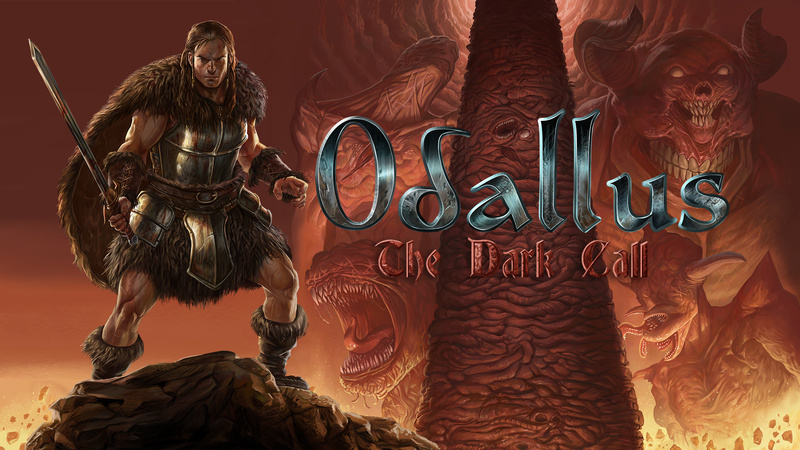 The two games in question are Oniken: Unstoppable Edition and Odallus: The Dark Call, both of which arrive on the console on 8th February (other platforms are getting it later in the year). You'll be able to snag 20% off each game at launch, and owning one will always grant you access to 10% off the other one. A physical bundle containing both games is also planned for release at Play-Asia. A release date for this collection is still to be set, but you'll be able to pre-order either a standard or limited edition bundle from the site from 24th January. Are you tempted by either of these games? Perhaps you're considering grabbing both or that lovely bundle? Let us know your thoughts in the comments. Like the look of Odallus more than Oniken, but I'm kinda played out in regards to all the 8-bit games. There are just too many in my opinion. Definitely grabbing the physical. Two awesome games right there. I played a Demo for Odallus and it is a very fun game. I am excited for this. Physical for me, two of my favourite NES-style games in recent years I played on PC, I've always told Joymasher they would fit right at home on the Switch. Hopefully it will expose their work to a lot more public and in good timing since Blazing Chrome is right around the corner. Gotta say, my nostalgia bug bit me here. The look and feel definitely took me back to my youth even though these games are much more recent. Not sure if I'd buy them or not, but I'll at least add the physical games to my Gamefly queue. Those actually look interesting, although I have to agree that the whole "8 bit inspired" thing is really getting old by now. I'll be downloading the pair of them. @Bunkerneath Give it a try. Odallus is the best game I've played since it's launch. The look and feel of these games are true to 8bit retro games as well. I'm tired of all the pixel drawn semi retro games too, but Odallus is legit. Oniken is good too, but only if you enjoy truely brutal retro games like Batman and Ninja Gaiden. Bought Odallus on Steam years ago and its a shame it was forgotten quickly as it is a very faithful late 80s action game, though Id say its more like a PC Engine style look than NES. Im pleased its getting another chance and a physical too. @ThanosReXXX I was thinking the same thing the graphics. Sprites seemed more animated to in some cases. They've got another game they're developing as a side project which looks promising. Just like Blazing Chrome they've gone for the 16bit look. No thanks not my type! Odallus is a great game, I have it on pc. I will definitely pick up the physical game, the other game looks great as well reminds me of strider for some reason. @OorWullie thanks for that footage, they sure do know how to capture that 8 and 16 bit retro feel. Between these games and Blazing Chrome, JoyMasher is definitely a developer to keep an eye on! I will definitely play Odallus. I love the dark tone and atmosphere of the trailer. Looks like of like a Castelvania game. 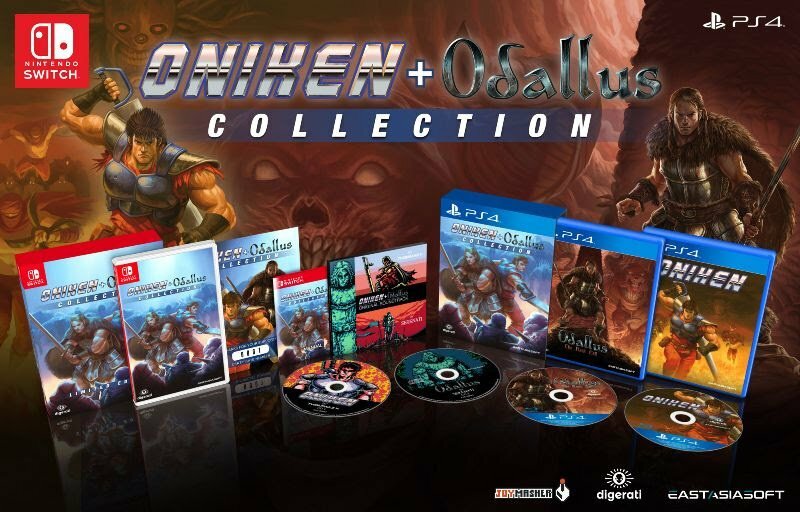 Oniken I'm not as interested in but, it I love Odallus, I might check it out too. @OorWullie Nope, just similar... chiptunes... erm... I guess every NES style chiptune do sound rather alike. Odallus and Oniken are both terrific! I loved them on PC and was hoping they'd come to Switch! A physical edition is a must-buy! While some are sick of 8-bit style, I welcome it(when done well) as I have little interest in many modern games. I really liked Oniken which I've played through a few times. It was authentically retro in many ways and reminded me of NES, SMS and maybe a little C64. Odallus I played a bit, but had to stop due to a data loss, but it looked great. I like what Joymasher is doing. They're not trying to be mainstream or AAA. They're serving a niche and serving it well. I look forward to their upcoming 16-bit style games Blazing Chrome and Moonrider, which look great so far. Yay! I always jump back into these games on PC and constantly hope for a Switch release. Picking up both on day1. 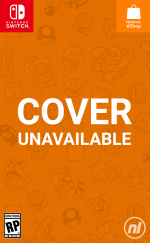 I was a little confused at first because nothing outright says this will be a digital release on the eShop. May want to clarify in the future. True the market is a tad flooded with it but when they’re done, right there’s nothing better IMHO. Someone needs to make like... a Faxanadu-style successor or even more so, a Blaster Master kind of game where I can ride around in a cool mech/tank/thing and I can eject as needed and proceed on foot. Also let us upgrade and have those upgrades cause cosmetic changes as well to our mobile gear in some way. Yep, let it be 8-bit or 16-bit too. I’d be stoked. I’m so shocked nobody has made another game kind of like Blaster Master. They’re all using Metroid as the base formula rather than Blaster Master which incorporates a vehicle. I read that as Omikron and while I’m disappointed, these do look pretty cool. Still don’t have David Bowie in them though. @Alto faxanadu would be awesome! These games are great. Can’t wait to pick them up again!! @Edrick It's funny you say Oniken reminds you of Strider, I was thinking the same about Moonrider. I've never played any of these games but going by what I've seen and read of their games, I'm sure they're going to become one of my favourite indie developers. These are fantastic games and I'll will probably buy this collection even though I already own them on Steam. Oniken annoyed me with its cheap deaths but I still loved it! Odallus is that weird Castlevania and Legendary Axe/Rastan cross over game you never knew you wanted! @OorWullie the only game I've played was Odallus and I herd of them because AGN's friend mention it on his show. It's great imo perfect retro, reminiscent of castlevania and another game I can't quite put my finger on, definitely buying again for the switch. I'll definitely buy Moonrider if it comes to the switch to! I have these on PC. Hghly recommended if you love old NES games and stuff like Castlevania.